This March, the Federal Aviation Administration’s (FAA's) first approved autonomous commercial drone delivery to an urban residence took place in Nevada. The successful test was a sign of things to come, highlighting the exciting opportunities that unmanned aircraft systems (UAS) can present. Flirtey, an independent drone delivery company, was using this operation to investigate rescue and crisis response in disaster-prone areas. It believes this success was a major milestone that can lay the foundation to saving lives and changing lifestyles—drawing us closer to the day when drones make regular deliveries to our front doors. Current FAA regulations are still limiting the growth of commercial UAS adoption. After the FAA cited a few “near misses” with drones, the administration began requiring operators to register before taking to the skies and agree to abide by several basic rules while in the national airspace. Back in December 2015, the FAA announced the small UAS registration rule. All owners of any UAS purchased after December 21, 2015, must register the drone before its first flight outdoors. There are a number of requirements for those registering as well as a list of safety precautions they must sign off on. The regulations require operators to register their drones on the FAA’s streamlined aircraft registration website. As a result, around 400,000 operators have already registered in the last three months. However, with a new announcement on June 21, the FAA made it a lot easier for businesses to operate drones. The administration announced the first operational rules, which will allow commercial operators to fly drones in the U.S. as long as the UAS meets a set of requirements, such as weighing less than 55 pounds, the operator passes an unmanned aircraft operator test and adheres to the existing registration requirements from 2015. This is a great step forward for the FAA and for businesses and the commercial drone industry. One of the biggest change is that commercial drone operators will need to take a written, drone-specific, aeronautical knowledge test. Nonetheless, under these new rules, there are still many limitations for drone operators. They still cannot legally fly over people or go past the pilot’s visual line of sight, which means Amazon’s plans for drone delivery will still be kept on hold. Drones are still restricted from flying past daylight hours, which means that operations occurring at night, including search and rescue or firefighting, won’t be legal either without an exemption from the FAA. Is the Drone Safety Risk A Real Threat? With the recent ease on certain restrictions, many still think that it’s not enough. “The FAA seems intent on crushing the nascent drone industry and consumer operators with technologically restrictive and economically backward regulations,” said Marc Scribner, a research fellow with the Competitive Enterprise Institute. Recent research is saying otherwise about these air safety risks the FAA is so concerned about. According to a new study done by George Mason University, the FAA could significantly loosen rules regarding private drone use without causing more accidents. They found that general aviation is not as threatened by drones as the current limitations against drones suggest. After hearing of the FAA’s registration requirement that includes drones weighing more than 250 grams (0.55 pounds) and less than 55 pounds, George Mason University research fellow Eli Dourado started to wonder just how dangerous drones could really be. Dourado turned to the FAA’s wildlife strike database, a voluntary database tracking incidents involving animal strikes with aircraft, to begin his research. He looked at the number of birds in the U.S. airspace (an estimated 10 billion), the amount of time they spend flying, where strikes often occur and the average weight per species. Dourado found that if a million drones were flying within the national airspace at once, the chance that one would cause an injury or death would be about once every 187 years. Although he admits there are some exceptions to his findings. “Drone use is pretty safe by existing aviation standards,” Dourado stated. Nonetheless, with thousands of new drones in the sky, the FAA is eager to remind operators that they are using shared airspace and need to adhere to certain rules. The current rules continue to prohibit the flying of drones above 400 feet, out of sight, at night, close to airports or over large groups of people. The new registration process asks operators to acknowledge these rules. “It’s a way of letting operators know that as soon as they start flying outdoors, they are, in effect, pilots,” said FAA administrator Michael Huerta. Essentially, the George Mason University study largely confirms that UAS are not any more dangerous in the shared airspace than birds. Comparing the increase in drones to an increase in the bird population, the study concluded that the risk to the airspace caused by small drones is minimal. Still, the FAA has yet to finalize rules for broader commercial use of drones without applying for an exemption (like beyond visual line of site operations) as it tries to integrate UAS into the national airspace. As the administration evaluates new regulations, it continues to be under considerable pressure to relax its restrictions to allow for more commercial drone usage. The agency is considering new rules that would ease up on the restrictions requiring companies to apply for specific permission to fly UAS. Companies like Google, Amazon and Walmart are interested in using drones for package delivery, but other companies want to routinely use drones for things like photography, surveying and surveillance. Meanwhile, the FAA is moving towards allowing government and industry to move faster to carry out unmanned aircraft missions more quickly and with less red tape. 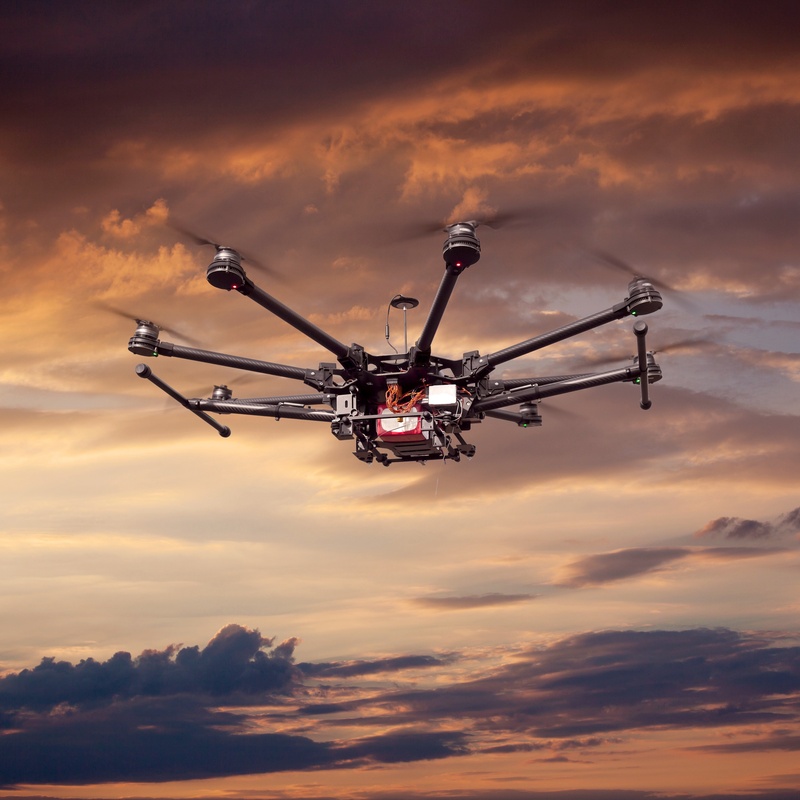 Key to helping ensure safety in the skies as the number of UAS increases is technology that can manage the presence of drones in a coordinated manner. Enter applications that run on Operational Intelligence (OI) that can aggregate vast amounts of disparate data generated by UAS into a central location to provide complete situational awareness for drone operators. Weather patterns, GPS tracking, radar intelligence (RADINT) and even video metadata can all be standardized with OI into a single, graphical interface. This enables real-time visibility of information and provides a means of traffic management for unmanned flights – and ensures that both drones and traditional manned flights remain safe. Operational intelligence serves an important enabler that will support the rules governing the broader commercial use of drones. Discover how operational intelligence (OI) technology can benefit aircraft safety as other unmanned aircraft systems (UAS) applications take flight. Download our free eBook to learn more.